Hermes boots for autumn winter 2014... I die. Seriously, these beauties are a major wardrobe wish. But let's not get too into that or we'll never make it to the point here, people. 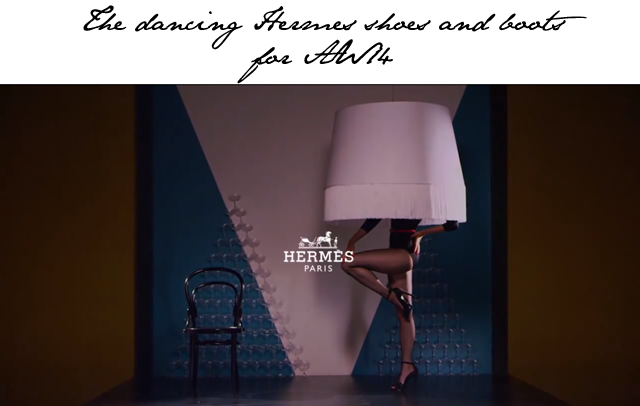 Hermes have just released a little teaser to get the world excited about their beautiful shoes for the new season. Enlisting the help of three professional dancers, we see these women tumbling over pummel horses, attempting to recreate giant lamps and turning a classic leather club chair into a rocking good time. All the while they're stomping around in lust-worthy leathers from the masters of the medium - Hermes.